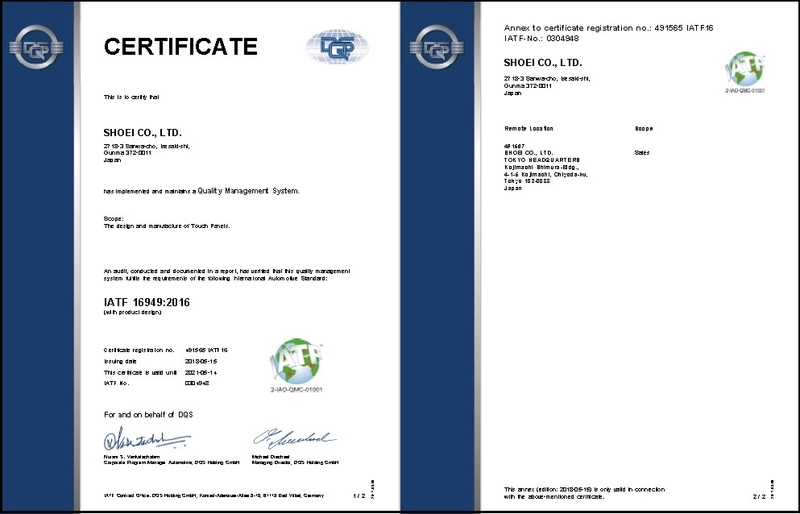 Obtained certification with IATF16949 | Development, Production and Sales of touch panels | SHOEI CO., LTD.
IATF16949, a new international automotive QMS (Quality Management System) standard, substituted ISO/TS16949. Accordingly we obtained the certification on May 15th of 2018. We will continue to strive for improving our quality management system.